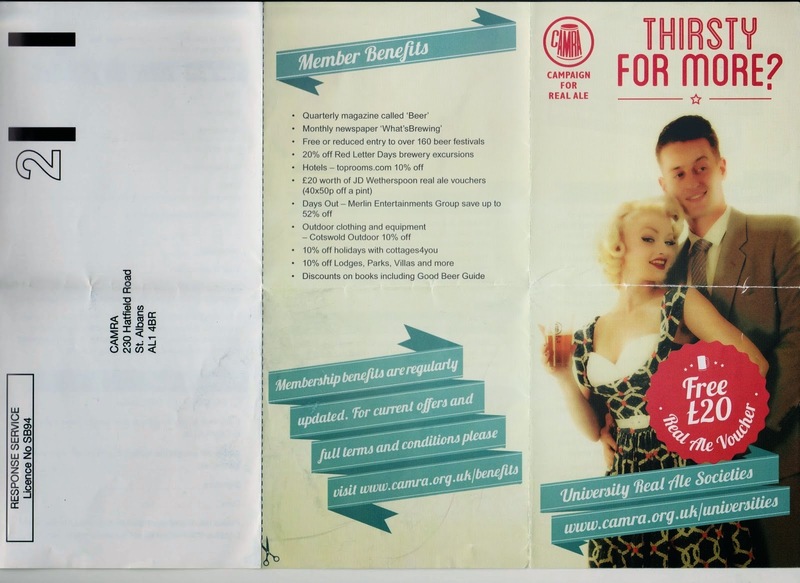 They Got Me Over A Barrel: SEXIST CAMRA LEAFLET SHOCK! : Free £20 Real Ale Voucher! SEXIST CAMRA LEAFLET SHOCK! : Free £20 Real Ale Voucher! It IS context is all. IN the context of contemporary society the CAMRA leaflet is gauche not offensive and the outrage it's engendered is as silly as the leaflet. Google 'adverts with women' and click 'images'. I did. The first one that I got is an almost naked woman alongside with the slogan 'The cleaner you are, the dirtier you get' for new and improved Lynx shower gels. The pub and drinks industry is run almost entirely by men, and it most certainly IS dismissive of women, and that needs to change. There is a LOT that is wrong about the industry but the misogyny in the sector doesn't live in St Albans, home to CAMRA. I'm sure, in fact I know, CAMRA head office aren't prone to boorish or laddish behaviour of any kind. Generally they are polite, careful, cautious and risk averse with an academic slant. They use words carefully. They try to anticipate how their work will be interpreted out of context. CAMRA head office staff don't go about trying to offend anyone. And head office staff includes women, Campaigns are organised by Emily Ryans.